Oxychem Festival Tree a 40 foot Concolor Fir. 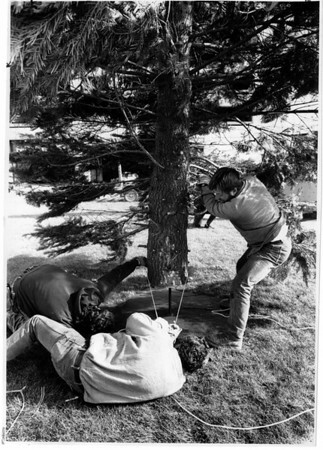 Workmen try to place the tree on a steel plate base, strong winds made that difficult. Photo - By Ron Schifferle - 11/17/1990.